I've realised that finding a classic motorcycle to feature in these pages isn't an easy job by any means. And when we do locate one, trying to convince the owner to let me ride his timeless beauty is a black art that only Srini has mastered. I've watched BSM's restorer friend Sajid meticulously put together this Norton Model 7 over the past few months, but at the mere mention of a feature, up popped any number of excuses. 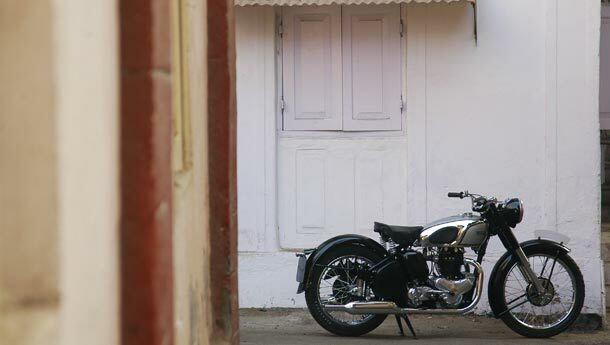 Many calls and cajoling conversations later, I managed to swing my leg over this beautiful and somewhat rare motorcycle that Sajid just about managed to put together in time for the shoot. Let me tell you a little about the 7 before we fire her up. After WWII, Norton, already famous for their race machines, launched the Manx, powered by 350cc and 500cc overhead-cam engines; only this time the Manx had Roadholder telescopic forks and plunger suspensions at the rear – a first for Norton motorcycles. In spite of this, Norton's fleet of road singles were ageing and were barely capable of taking on the rival twins. In 1949, Norton poached Bert Hopwood from BSA and sourced a frame from renowned chassis builder Rex McCandless to build their first twin. Hopwood used bits from the ES2 and his vast experience at Triumph and BSA to design and build a vertical twin that was housed inside Rex's featherbed frame – the birth of the Model 7. (I still can't seem to understand why the Brits who were so passionate about their motorcycles chose to refer to them as numbers. Doesn't Black Shadow, Venom and Red Hunter sound cooler than G80, B33 and Model 7?) Anyway, the 500cc twin and the featherbed frame from the 7 were used separately or together by Norton in different models over the next 30 years. Norton's racing legacy wasn't enough to help them survive and like all other Brit bike manufacturers, they found themselves in the red. Norton had to fight liquidation more than their race track rivals, and ownership changed hands a fair number of times before finally settling with a group of American financiers, who now call it Norton Motors International. Back to the future now. I've comfortably seated my rear into the single saddle and heave the kick down to fire her up. A loud swish from the exhaust means I've to give it another go. Not a simple task, considering you'd need four of me to tip the scales on the 7. 'There's a knack to it,' says Sajid, who walks up and gives it a go. The deafening sound of a hundred bass drums breaks through the morning air until the engine settles into an idle. I quickly hop on and wegde it off the stand, pull the heavy clutch in and engage first with a loud thunk – typical of a thumper. As I wring the throttle, the single Amal carb floods the chambers. I ease out the clutch as the twin silencers break into a steady thumping rhythm. On the go, I'm curious to know what's special about this featherbed frame, so I take her around a few corners leaning as far as she will let me. She's pretty impressive, given that she weighs in at about 200 kg. 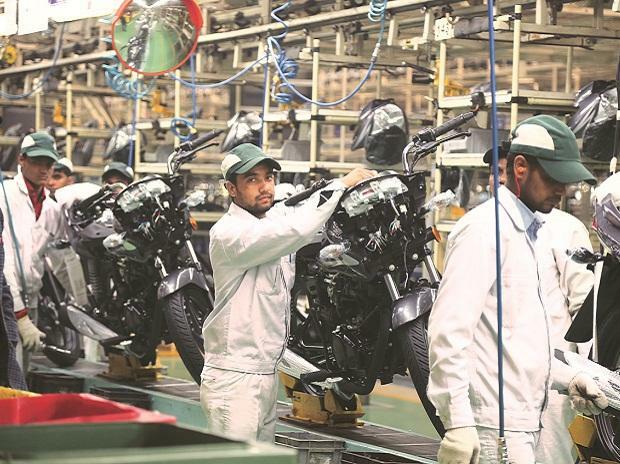 On straights, the needle on the faded Smiths dial climbed steadily as both the pots rapidly pumped out a solid 30 bhp – a figure that will still see most Indian bikers turn green. Even though Hopwood and Co opted for telescopic forks and plunger suspensions on this 7, the ride quality feels a good 54 years old. The 7 has single-lead, single sided drum brakes that mysteriously had no relation to how many riders lost their lives on the 7 at the TT. 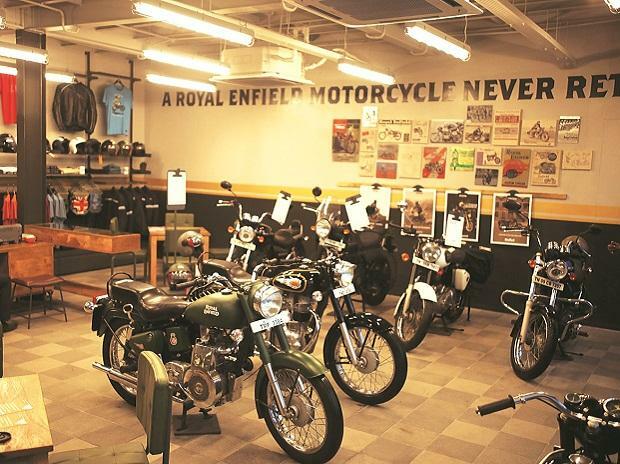 The 7, in its stock colours, had been refitted with the original footpegs and 21 inch rims up front that bore the Dunlop trademark – the hardest bits to source on the entire bike. The oil temperature gauge on the tank was another first on a Norton machine, but Hopwood's hidden pushrods and splayed-valve design ensured that the engine didn't overheat, making the Model 7 a very practical bike. 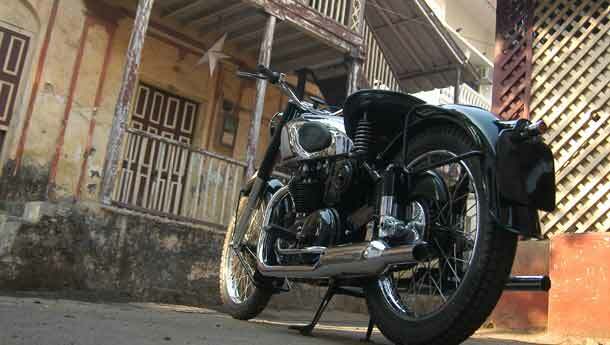 Sajid tells us that the previous owner, a 75-year old enthusiast, used this bike for his daily commute. 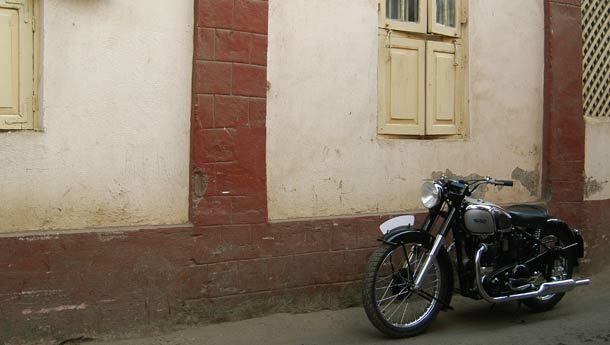 Surendra Shirsat, a vintage bike collector and the present owner, intends to carry on that tradition. As for me, I think I'll stick to the Jap machines – they're easier to start! Still, there's no doubt that machines like this Norton paved the way for the bikes of today, so I'll always be up for a ride.